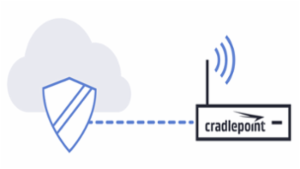 I had to tackle a challenge to use Cradlepoint routers to provide backup WAN connectivity for my remote sites. This is how I did it. 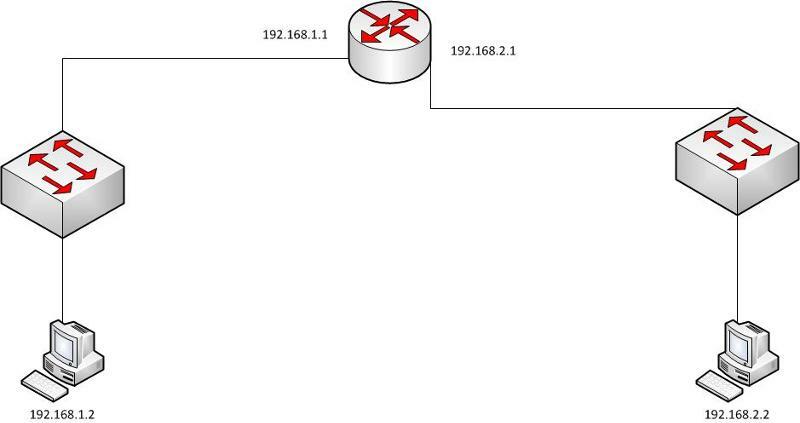 Creating an OSPF network that automatically (dynamically) reroutes network traffic over other connections to prevent network downtime. SSL is a very common protocol used these days when browsing the web. The purpose is to provide security to communication, but how does it do it? There are several pieces at work that have to be setup before SSL will even work and it requires both the client and server to be configured properly or no communication will succeed. PKI - Public Key Infrastructure. The entire environment that generates/maintains keys and certificates. A Root Port is the switchport a switch chooses with the determination that it is the closest or fastest port to reaching the Root Bridge. Notice "reaching the Root Bridge"
It is easy to confuse Root Ports as the ports on the Root Bridge. The Root Port is the port that leads to the Root Bridge. From San Francisco, California, Interstate 5 Southbound leads to Los Angeles. You will not find any Highway inside Los Angeles that says "To Los Angeles". If you see any such sign around the area, then it means you are not in Los Angeles. The same I5 that takes you to L.A from S.F, takes you back to S.F. from L.A. in the reverse direction. The sign changes to "To San Francisco"
Long story short. You will never find a Root Port on a Root Bridge. Any switch you see with a Root Port Label means it is not a Root Bridge. I hope I made that clear enough without bugging you with repetition. With that out of the way, there are several criteria the switch uses to determine which of its ports is most reliable path to the Root Bridge. This also implies the following. - There can only be 1 Root Port on a switch. Umm, I never stated a root bridge was to have a root port; quite the contrary actually. Look at the picture again. Switch A has the lower mac and they have the same bridge priority. So Switch A is the root. And as you point out, all its ports are designated then which the picture shows. What it doesn't show is a root port on Switch B. Which in this case would be port fa0/1 and for the exact reason you mention in the article. But beyond that. 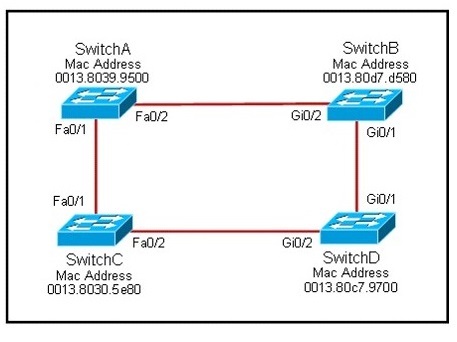 no link in a switched network can have both sides be designated. That is an invalid state. Pointing out a small mistake on a picture is not trying to cripple the article because from what I saw nothing is really wrong with what you are saying. My first point was an omission of data (which I agree with you was mostly likely to keep then article easier to understand but I stated why I thought it should be included). The second point was simply pointing out that the last image should be fixed. No where did I state that any text needs to change as everything you said is true. I merely don't want people to be confused after you go thru explaining the entire process that there is no root port in that 2 switch network you are using as an example. Or to think it is ok to have 2 ports on the same link to be in designated state. You clearly know what you're talking about, I just figured it was an oversight. Cyclops3590, thank you for your clarification. I have removed the portion of Akinsd's comment. Please keep it civil, and dedicated to improving information to the reader. The article explains the protocols and technology which is involved when two computers on different TCP/IP networks communicate with each other. In the diagram, a router is used to segregate two networks. The networks are 192.168.1.0/24 and 192.168.2.0/24. The corresponding interface IP address on the routers are 192.168.1.1/24 and 192.168.2.1/24 as shown in the diagram. The interfaces on the router are connected to ports on the switch , to which the computers are connected. The IP address of the computers are 192.168.1.2 (PC1) and 192.168.2.2 (PC2). Take a scenario where PC1 wants to communicate with PC2. For the communication to be succesfull, the TCP/IP adapter settings of PC1 and PC2 should be configured with the corresponding gateway addresses. The gateway addresses are required , since , communication is to be achieved between devices on two different networks. The gateway for PC1 should be a device , which is accessible to it , and which is capable of forwarding the information to the intended network. In the diagram, the router would be the ideal gateway. But the router has two interfaces, which are configured for two different IP addresses. So which IP address should the PCs use. For example, the IP address 192.168.1.1 should be used as the gateway IP address for PC1 and IP address 192.168.2.2 should be used as the gateway IP address for PC2. What would happen if 192.168.2.1 is used as the gateway for PC1 ? 9. PC will construct Ethernet II type Ethernet frame. File transfer is a common requirement in most Enterprises. While there are numerous ways to get a file from Point A to Point B over a network, perhaps the most common method still in use is FTP – File Transfer Protocol. FTP is a network file transfer protocol that was first described in RFC 959 in 1980 and has gone through numerous changes and additions since that time. By itself, FTP offers no meaningful security. Connections are password-protected, but all data (including passwords) is sent in plain text over the network. These days, of course, security is a chief concern and plain old FTP is no longer an option for moving sensitive data over the Internet. To address these security concerns, a strategy was devised to add a layer of security to FTP using SSL/TLS. This new protocol is known as FTPS and is described in RFC 2228. Today, most FTP clients and servers support this FTPS protocol out of the box without requiring significant expertise on behalf of the user. Still, when attempting to set up a new FTPS connection in most off-the-shelf FTP clients, the users still must choose from a bewildering array of choices with names like FTPS Implicit and FTPS CCC, among others. This article will explain what these choices mean and how to successfully determine which options are right for your connection. I know for anybody starting from Beginner to Expert in Networking knows what OSI model. 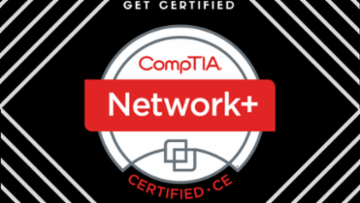 But this tutorial is for freshers or those who are new to networking world. Why I am putting OSI in such simple and compact manner is because it enables you to know more things in less time. Provides services to the user application. Acts as an interface between the user and application. Some of the functions are identifying communication partners, determining resource availability, and synchronizing communication. Provides independence from data representation (e.g., encryption) by translating between application and network formats. In short it generifies data. 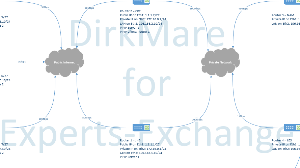 Establishes, manages and terminate virtual connection between the applications on systems at both end. Keeps the logical sessions separate. This layer takes care of the transfer of data like whether the communication to be reliable or not. You remind me thoes old days. A few months ago I attended the Rocky Mountain IPv6 Summit which was a two-day educational event; it was the 3rd annual conference held here in Denver, Colorado that was held at the Hyatt Regency Denver at the Colorado Convention Center. It was an eventful conference with many outstanding speakers: John Curran, Shannon McFarland, Scott Hogg, Chuck Sellers, Danny McPherson, and many others. 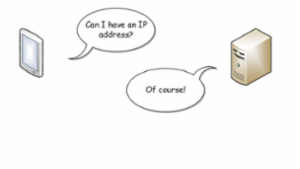 "As we dip below the 10% mark for available IPv4 resources, it has become more vital for all organizations to implement IPv6 before time runs out"
Among the imperative needs that needs to be molded to your policies for allocating and assigning is the fact that there must be absolute uniqueness Internet-wide. With this being stated, opt for whenever you can the address space that you simply allocate and assign be distributed inside a hierarchical manner to make sure that route aggregation limits the explosion from the Internet routing tables.